Bath salts are the natural alternative to bubble bath (with bonus health benefits!) and, just like the DIY oil cleanser, are super easy to make yourself at home with standard household ingredients. Bath salts will not only leave your skin silky soft but they can also help with a whole heap of problems ranging from muscle pain to stress. Epsom Salts are a naturally occurring pure mineral compound of magnesium and sulfate; shown to be absorbed through the skin, Epsom salt baths help ease stress, relax the body, reduce inflammation, improve the absorption of nutrients, and draw toxins out of the body. 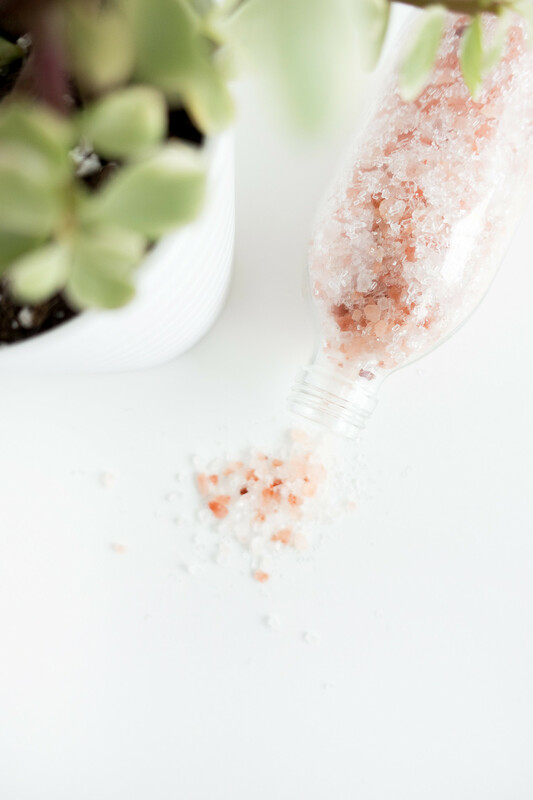 Himalayan Pink Salt can help to balance skin moisture, reduce muscle pain and stiffness, improve circulation, improve the texture, tone, and appearance of your skin, promote sinus health, aid sleep, and decrease stress. Throw baking soda into the mix and your skin will be left silky soft! If you're looking to switch to a more sustainable, natural alternative to traditional bubble bath, try this easy DIY bath salt recipe. In a bowl, combine the Himalayan Pink Salts and Epsom Salts. If you're including baking soda sift this in and stir everything together with a metal spoon. Mix in essential oils of your choice, I'd recommend using 15 drops combined for a strong, even mix of fragrance. Alternatively you could create fragrance-free bath salts and add essential oils straight into your bath water for more versatility. You can also add dried flower petals and/or herbs to the salts, and mixing in food colouring will result in colourful bath water. I use a spare 100ml glass jar to store my bath salts but an empty jam jar will do just fine, just make sure to keep them out of direct sunlight. I like to mix Ylang Ylang, Bergamot, and Lemon for uplifting and refreshing bath salts. Grapefruit, Lemon, and Cedarwood is another favourite, as is the classic Peppermint salt mix. 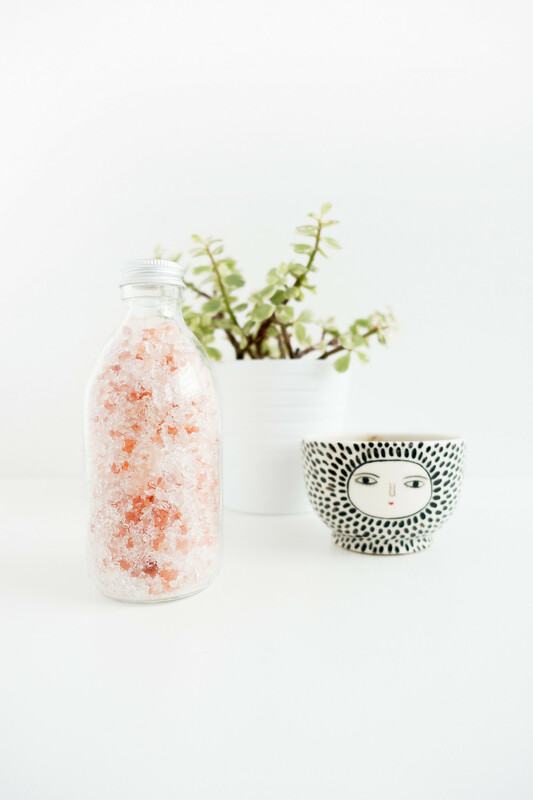 If you don't have essential oils on hand (and don't want to buy them) these DIY bath salts can be made without and they're just as good for your skin.